Kyabjé Trulshik Rinpoche Ngawang Chökyi Lodrö (Tib. འཁྲུལ་ཞིག་ངག་དབང་ཆོས་ཀྱི་བློ་གྲོས་, Wyl. ‘khrul zhig ngag dbang chos kyi blo gros) (1924-2011) was one of the seniormost lamas of Tibetan Buddhism. Considered the heart son of both Kyabjé Dilgo Khyentse Rinpoche and Kyabjé Dudjom Rinpoche, he became a teacher to His Holiness the Fourteenth Dalai Lama, and in 2010 the head of the Nyingma school. Kyabjé Trulshik Rinpoche was born at Yardrok Taklung in Central Tibet on the tenth day of the ninth month in the year of the Wood Rat (1924). He was recognized in early childhood as the immediate re-embodiment of Tertön Dongak Lingpa (Kunzang Thongdrol Dorje) a famous discoverer of spiritual treasures. He is also regarded as a manifestation of Lord Buddha’s disciple Ananda, as well as of Aryadeva, Thönmi Sambhota, the abbot Shantarakshita, the translator Vairotsana and Rechung Dorje Trakpa. The young Trulshik Rinpoche received his early education from his predecessor's foremost disciple, Ngawang Tendzin Norbu (1867-1942), who was known as 'the Buddha of Dza Rongphuk' after his place of retreat and the monastery that he established on the northern slopes of Mount Everest. When Ngawang Tendzin Norbu passed away, Trulshik Rinpoche became the abbot of the monastic community. Following the tragic events of 1959 he travelled, together with his followers, to safe haven in the valleys to the south of the Mount Everest area, among the Sherpa people of northeastern Nepal. Thupten Chöling, the monastery that he founded there, is renowned today as one of the most important centres for the monastic tradition of the Nyingma School of Tibetan Buddhism. After leaving Tibet, Rinpoche ordained almost ten thousand monks and nuns. Besides his root-guru, Trulshik Rinpoche's teachers included Minling Chung Rinpoche and Dordzin Rinpoche, Shuksep Jetsünma, Dudjom Rinpoche, Jamyang Khyentse Chökyi Lodrö and especially Dilgo Khyentse Rinpoche, whose 'heart-son' he became. 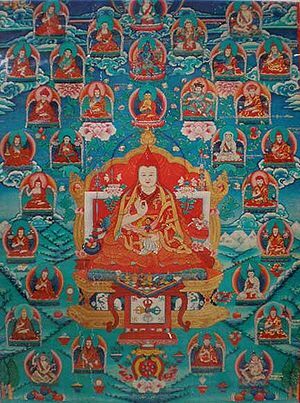 Altogether Rinpoche had some fifty masters representing all the major lineages of Tibetan Buddhism. 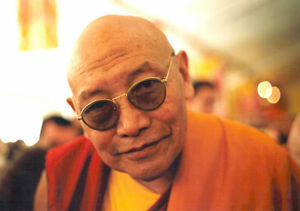 Trulshik Rinpoche was also the unique heir to some of Tibet's rarer traditions, such as the "Pacification of Suffering" (Tib. Shyijé), first introduced in Tibet during the 11th century by the Indian yogin Padampa Sangye. He continued his predecessor's teachings, especially those in relation to the great master Padmasambhava and the meditational teachings of the Great Perfection or Dzogchen. Trulshik Rinpoche's unusually clear and spontaneous style of teaching was also reflected in his accomplishments as a poet and master of all aspects of the monastic arts. His direction of the annual Mani Rimdu festival of masked dance-drama is documented in Richard Kohn's film Lord of the Dance, Destroyer of Illusion (1986), the title of which is in part derived from his name, Trulshik Rinpoche, "the Precious Destroyer of Illusion." He became one of the most important Nyingma teachers of recent times, passing on the various teachings he had received to an entire generation of younger lamas and incarnations. He also offered Nyingma and Gelugpa teachings to His Holiness the Fourteenth Dalai Lama. In 2010 he became the fifth head of the Nyingma school, succeeding Kyabje Minling Trichen Rinpoche, who had passed away in 2008. Kyabje Rinpoche entered parinirvana on 2nd September 2011 and remained in tukdam for three days in his monastery in Kathmandu, Nepal. His reincarnation, Ngawang Tendzin Lodrö Rabsel (Tib. ངག་དབང་བསྟན་འཛིན་བློ་གྲོས་རབ་གསལ་), was born in Kathmandu on July 25, 2013 and recognized in 2015. Nyoshul Khenpo, A Marvelous Garland of Rare Gems: Biographies of Masters of Awareness in the Dzogchen Lineage (Junction City: Padma Publications, 2005), pages 352-353. This page was last edited on 21 August 2017, at 01:46.